A second-half goal from Jamie O'Hara gave Championship bottom club Blackpool their second successive home victory as they beat fellow strugglers Brighton. Midfielder O'Hara curled in a superb 75th-minute free-kick to score his first goal for the Tangerines. 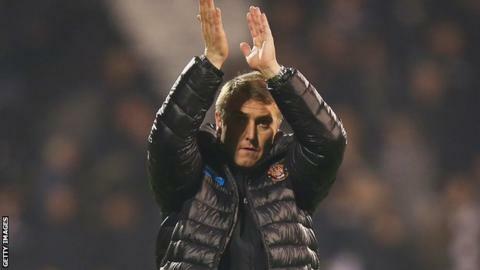 Lee Clark's side are nine points from safety but with renewed hope of clawing their way out of the relegation zone. Defeat ended Brighton's three-game winning run away from home and saw them slip to 21st in the Championship. Millwall, in the final relegation place, are just two points adrift of the Seagulls after a surprise 1-0 win over Nottingham Forest. The visitors started strongly at Bloomfield Road, going close in the eighth minute as Sam Baldock pounced after Tony McMahon allowed a long ball to slip through his legs, but Peter Clarke blocked his shot. Brighton went close again when Gordon Greer met Danny Holla's free-kick, but his header was saved superbly by home keeper Ell Parish. The deadlock was finally broken at the other end as former Tottenham and Wolves midfielder O'Hara curled home a left-footed free-kick from 35 yards. Brighton threatened an equaliser 10 minutes from time but Clarke cleared Solly March's cross before Joe Bennett's return ball was headed wide by Leon Best from six yards. "The conditions make it difficult with the surface. We have a few players who like to play football, the manager likes to play football and you know we've played in teams over the years who like passing it. But it's difficult. "Unfortunately it doesn't look attractive but we've got three points." "I think with the state of the pitch it was either going to be a real scrappy goal that won it or a wonderful strike. "What we weren't able to do was impose ourselves on the game the way we would have liked. They play very direct. It's very difficult to play any other way on a pitch like this." Match ends, Blackpool 1, Brighton and Hove Albion 0. Second Half ends, Blackpool 1, Brighton and Hove Albion 0. Steve Davies (Blackpool) wins a free kick in the defensive half. Corner, Brighton and Hove Albion. Conceded by Charles Dunne. Leon Best (Brighton and Hove Albion) wins a free kick in the attacking half. Corner, Blackpool. Conceded by Jake Forster-Caskey. Attempt saved. Steve Davies (Blackpool) left footed shot from the left side of the box is saved in the bottom left corner. Assisted by Dominic Telford. Delay in match Steve Davies (Blackpool) because of an injury. Substitution, Brighton and Hove Albion. Craig Mackail-Smith replaces Chris O'Grady. Attempt missed. Dominic Telford (Blackpool) left footed shot from the centre of the box is too high. Attempt missed. Mark Waddington (Blackpool) left footed shot from outside the box is too high following a corner. Corner, Blackpool. Conceded by Joe Bennett. Joe Bennett (Brighton and Hove Albion) is shown the yellow card for a bad foul. Mark Waddington (Blackpool) wins a free kick on the right wing. Attempt missed. Leon Best (Brighton and Hove Albion) header from the centre of the box is close, but misses to the left. Assisted by Jake Forster-Caskey with a cross. Offside, Brighton and Hove Albion. Danny Holla tries a through ball, but Leon Best is caught offside. Substitution, Brighton and Hove Albion. Solly March replaces Íñigo Calderón. Goal! Blackpool 1, Brighton and Hove Albion 0. Jamie O'Hara (Blackpool) from a free kick with a left footed shot to the top left corner. Dominic Telford (Blackpool) wins a free kick in the attacking half. Substitution, Blackpool. Mark Waddington replaces Andrea Orlandi. Attempt missed. Rohan Ince (Brighton and Hove Albion) right footed shot from outside the box is close, but misses to the right. Assisted by Danny Holla following a corner. Corner, Brighton and Hove Albion. Conceded by Darren O'Dea. Dominic Telford (Blackpool) wins a free kick on the right wing. Offside, Brighton and Hove Albion. Chris O'Grady tries a through ball, but Joe Bennett is caught offside. Tony McMahon (Blackpool) wins a free kick on the right wing. Attempt missed. Rohan Ince (Brighton and Hove Albion) right footed shot from outside the box misses to the left. Assisted by Joe Bennett. Attempt missed. Rohan Ince (Brighton and Hove Albion) right footed shot from outside the box misses to the left. Attempt missed. Íñigo Calderón (Brighton and Hove Albion) left footed shot from the right side of the box misses to the left. Assisted by Jake Forster-Caskey. (Brighton and Hove Albion) wins a free kick in the defensive half.